Now we have the push up cake pops! This latest trend in the cake world is replacing the cupcake. Try this new tasty treat. Choose your favorite cake flavors, frosting, and colors to match your event. Perfect for wedding treats, baby showers, birthdays, and any special occasion. Yes, we ship anywhere in the continental USA! Of course we deliver here locally in the Raleigh, NC area or you can pick up your order at our shop. Contact Us Here For More Info Or See Pricing Options Below. 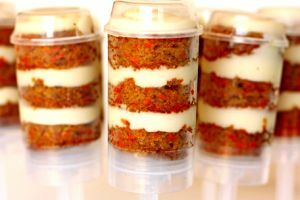 These push up pop cakes are carrot with cream cheese, yummy! Mix and match cake flavors so everyone can enjoy their favorite. French vanilla, chocolate, white, strawberry, carrot, butter pecan, marble, and many others available. Display your push up cakes on one of our stands. 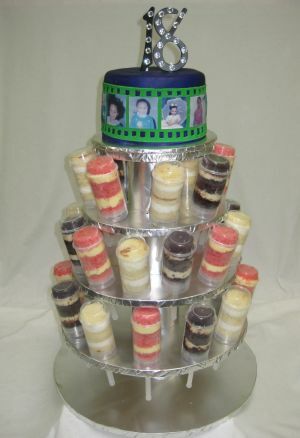 We have the traditional cupcake tree, square, round, and tiered stands available to match your needs. Our display stands are available for rent or purchase. Color your cake and icing to match your event colors! 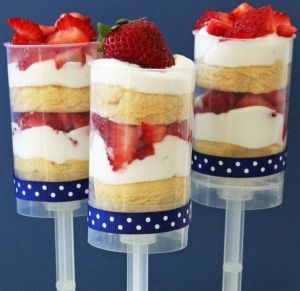 Your guests will be amazed with this cake pop push up dessert. Be the first to show them this "throw back" cake idea. Perfect for party favors or even the main cake display. Add custom lables with a picture or saying. 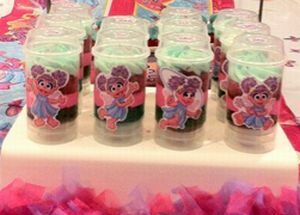 We have several lables to choose from and can customize to your wishes. You can also dress them up yourself with ribbon to get that perfect look.